Over the last week, the firefighters and federal, state and local agencies have received well deserved appreciation for working courageously to contain the Government Flats Complex fires. And with the rain and cooler fall-like weather forecasted, the wildfire should no longer be a threat. But they haven’t been the only ones busy. The Red Cross and the North Central Public Health District have been supporting those disrupted by the wildfire. In particular, they have been distributing N95 Particular Masks to anyone who is adversely affected by the smoke in the air. The Center still has a few of the masks if you need one to add to your emergency preparedness supply kit. But this might also be a good time to ask yourself how prepared are you for an emergency? You can learn more about Emergency Preparedness at http://www.wshd.org/ including the recommended items for a basic emergency supply kit, how to make a family emergency plan (you might not always be together when an emergency occurs) and how to stay informed. (I learned when the power has been off for 4 hours or more you should throw away perishable foods in your refrigerator. And thawed food that contains ice crystals can be refrozen or cooked. Freezers, if left unopened and full, will keep food safe for 48 hours - 24 hours if half full). Also you might want to sign up for the Citizen Alert system if you haven’t already. (It was used for the first time by the Wasco County Sheriff’s department to warn residents during the wildfire.) The system enables Emergency Response Agencies to quickly get critical information to you - not only concerning wildfires, but also severe weather, floods, street and road closures, missing persons, law enforcement activities and evacuation notifications. You can receive the notifications by phone, email, or text – whatever works best for you. Go to the Wasco County website at http://www.co.wasco.or.us and at the bottom of the page click on “The Citizen Alert Notification Sign up”. If you have difficulty or don’t have access to the Internet, you can call Wasco County Citizen Alert at 541-506-2790. Or you can always stop by the Center on Wednesdays between 9:00 – 11:00 during the Computer Help Lab (or call and schedule an appointment) and someone will assist you in getting signed up. Onighttay atway ethay Entercay, “Orfay ethay Oodgay Imestay” illway ebay ayingplay. Andway extnay Uesdaytay “Ethay Awberrystray Ountainmay Andbay” illway utstray eirthay uffstay. Ethay oorsday openway atway 6:00, usicmay artsstay atway 7:00 andway uggestedsay onationsday areway $2.00 erpay ersonpay orway $3.00 orfay away ouplecay. And how about one more “Double your Memories, Double your Fun” - for old time’s sake? 1) What was the name of the game show broadcast on television from 1956 to 1964 where each contestant explained her recent hard ship story and what she needed most? 2) Who was the American jazz pianist and singer with a soft baritone voice who was one of the first African- Americans to host his own variety show? And both answers have something to do with “royalty”. E-mail your answers to mcseniorcenter@gmail.com, call 541-296-4788 or mail it with the classic film noir “Double Indemnity” starring Fred MacMurray - playing a character quite different from his “My Three Sons” role. Well, it has been another week thanking all the public employees and volunteers who work to keep us safe and secure. Until we meet again, there comes a time when you see your doctor so often, she is now invited to your family reunions. But although chronological age can be a predictor, in reality we all age differently, we all deal with life differently; and it doesn’t matter whether we are young old (65–74), middle old (75–84) or the oldest old (85+); chronological age really doesn’t mean squat. But “too old” is not a good reason to avoid doing something - or anything. If you are not interested or unable, that’s okay. Not everything is possible - and you are the boss. But we are never “too old” to do what is possible: to play, explore, connect with others and in many simple ways - still make a difference. The Center will be hosting a Community Parking Lot sale on September 28th from 8:00 AM to 1:00 PM. Spaces are $25.00 each. This is the third year Sylvia Loewen and Barb Pashek have organized this fundraiser for the Center. The deadline for reserving a space is September 20th. If you have any questions you can call Sylvia at 541-298-4682 or stop by the Center to pick up an application. And at the same time the Nu-2-U Shop we will be clearing house with a sidewalk sale while cleaning and reorganizing the Nu-2-U Shop. 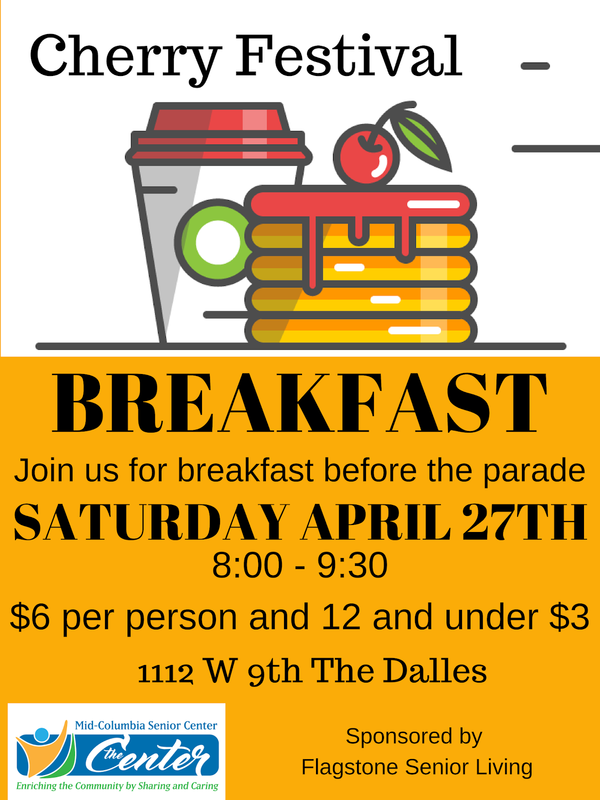 This may be the year’s last chance to buy or sale good used items on one of the busiest corners in The Dalles. Tickets are now available for the Baby Back Rib Dinner, the Meals-on-Wheels and Center’s big fall fundraiser on October 4th - the first Friday in October. 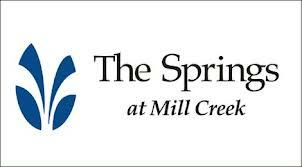 Once again it is sponsored by our neighbors to the east: The Springs at Mill Creek; and once again the tickets are only $15 a person. In addition to the lip smacking, back slapping, finger licking baby back ribs, there will be an expanded silent auction. And I have heard there just may be two tickets to the OSU - University of Washington football game in Corvallis on November 23rd including a tail gate party and a gas card to help pay for the trip. You can pick up tickets at the Center or at Klindt’s. Tonight at the Center, Truman will be playing his Country Gold. And next Tuesday “For the Good Times” will show you how to have a “good time” dancing and listening to classic country western. The doors open at 6:00, music starts at 7:00 and suggested donations are $2.00 per person or $3.00 for a couple. But this week’s “Remember When” is a “double your pleasure, double your fun” test with two unrelated questions, but the answers have something in common. 1) Who was the prominent British teenage model, who in the mid-1960s epitomized the swinging sixties? 2) What was the name of the animal cartoon character that first appeared on television in 1957 and was known for his famous staccato laugh: "ha-ha-ha-HA-ha"? And “tree” is the common element. E-mail your answers to mcseniorcenter@gmail.com, call 541-296-4788 or mail it with a pack of Wrigley’s “Doublemint” gum. Well, it has been another week trying to stay ahead of the curve on the twisting road of life. Until we meet again, always question, but don’t let it keep you from acting. Because we live in a society that reflects the cultural values of independence, youthfulness, and productivity, often the elderly are either negatively portrayed as frail, descript and burdensome “old” folks - ignored, stored away and forgotten. Or on the opposite extreme “super seniors” accomplishing age defying feats of strength and daring. In response, Orrin R. Onken, an Elder Law attorney practicing in Oregon, wrote “An Older American’s Pledge” which has recently been adapted into “An Elder’s Pledge”. A framed copy of the pledge, donated by Debra Lutje, the Center’s Yoga and Seniorcise instructor, can be found at the Center’s front desk. This is pretty heady stuff. But it encourages us to stay strong and confident while we continue to write our own unfinished story as we face the many challenges ahead. We will not be judged by the values of youth. We will not be expelled from work or play. We will not equate aging with illness. We will not be subject matter for experts. We will not be the objects of condescension. We will not be defined as a social or economic problem. We will not be trivialized. We will not be docile. We will not be interned. We will grow and learn. We will maintain a sense of humor. We will support one another. We will cooperate across generations to create a better world. We will nurture and guide the young. We will contribute according to our abilities. Soon it will be Wasco County Fair time and once again at the fair there will be a free Senior Picnic sponsored by Flagstone Senior Living and the Area Agency on Aging. It will start at 11:30 during Thursday’s (August 15th) Free Admission Day made possible by Mel’s Sanitation. And if you don’t have a ride to the Fair or would rather let someone else do the driving, LINK is willing to provide transportation. But there is a catch. They would like to have at least five riders. If you are interested in taking the LINK, reserve your place by calling LINK at 541-296-7595 or the Center at 541-296-4788. And since I am talking transportation, you can now take the LINK to Portland on Tuesday as well as Thursday. The fixed route bus service leaves The Dalles at 7:30 AM and arrives at Clackamas Town Center at 10:30 AM with several stops in between. It then reverses course and returns back in The Dalles by 5:10. It costs only $8.00 one way, but there are no reservations, so it is first come, first served. Playing at the Center tonight is the Strawberry Mountain Band. And next Tuesday on August 14th Martin and Friends will keep the dance floor shaking. Doors open at 6:00, music starts at 7:00 and a suggested donation of $2.00 per person or $3.00 a couple is always appreciated. 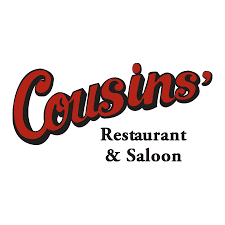 With Friday night’s “Neon Cruise” car show strutting their stuff through the “gut” of The Dalles; Saturday’s Cruise the Gorge “Show in the Shade” at Sorosis Park; and Sunday’s relaxing “Threshing Bee Car Show” in Dufur Park, for classic car enthusiasts this weekend is as big as the tailfins on a 1959 Cadillac. So I thought a classic car question would be appropriate for this week’s “Remember When” question. What wagon and carriage company entered the automotive business in 1902 with electric vehicles and then in 1904 with gasoline vehicles, but after establishing a reputation for quality and reliability, closed its American plant in South Bend, Indiana on December 20, 1963? Mail your answer to mcseniorcenter@gmail.com, call 541-296-4788 or drive your answer to the Center in the first privately owned Avanti which was presented to Roger Ward after winning the 1962 Indianapolis 500. Well, it has been another week trying to stay focused without losing my sight. Until we meet again, if you decide to put on a blindfold, don’t complain because you can’t see.